A volunteer placement can be an amazing experience and we provide our volunteers with ongoing support. You can read the testimonial of a recent volunteer here! Our volunteer placements are tailored to suit each individual’s strengths and interests as much as possible therefore will be designed in collaboration with the volunteer. We offer various project support with the primary focus being working with children from the social and community centre Fondation Amane. Although not essential, proficiency in French and or Arabic / Darija would be an advantage in being able to communicate with the members of the centre as these are the main working languages. As we are a small organisation reliant on a network of volunteers, we are unfortunately unable to fund our volunteers during their stay. 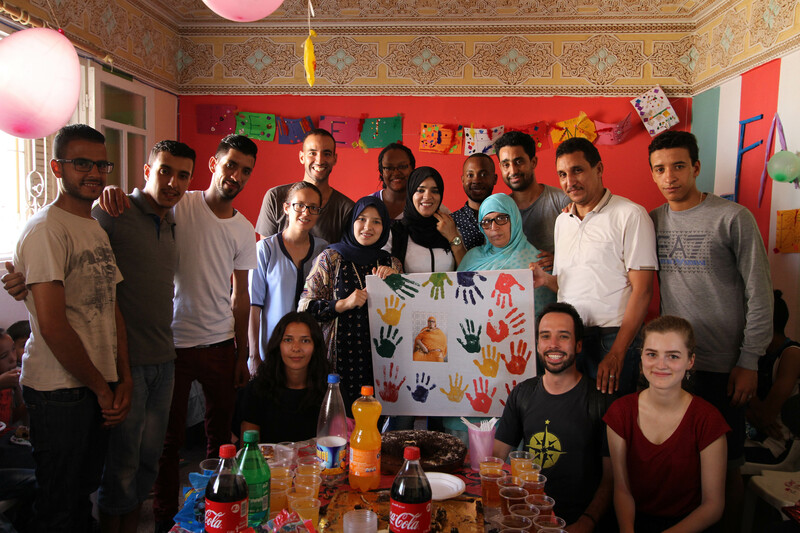 We therefore ask for volunteers to cover their costs during their time in Morocco. However, we aim to keep the cost as low as possible for the volunteer and endeavor to offer support and advice on fundraising if needed. We also offer trips for longer periods. Please make a note of this on your application form and a member of the team will be happy to discuss this further with you. Accommodation in our eight bedroom volunteer house, solely for use by our volunteers and staff members. 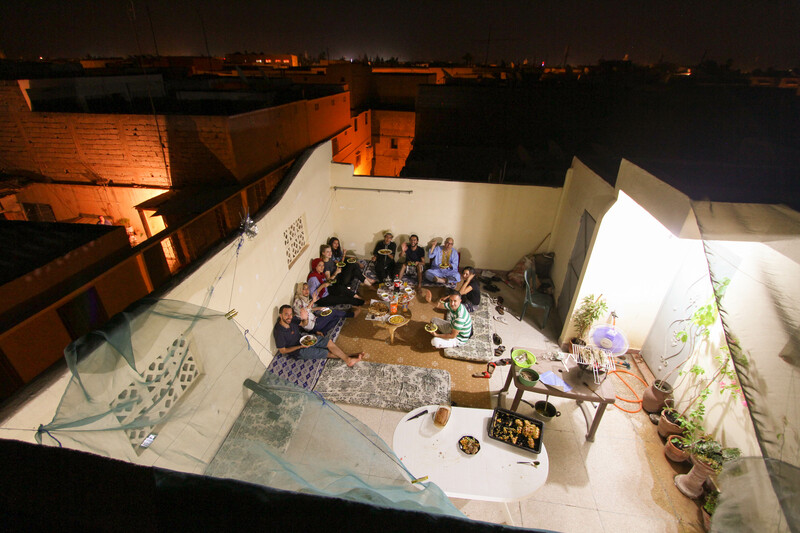 Two home-cooked Moroccan meals a day Monday – Friday. Two week induction course in-country. The course includes lessons in Classical Arabic, Moroccan Arabic, Moroccan Culture and Child Protection. Support from a volunteer ‘buddy.’ A local Moroccan who will help introduce you to Moroccan life. Help and support from the in-country team, before during and after your placement. What doesn’t your fee include?